I remember the first time I heard a friend’s parents were divorcing. I must have been seven at the time, and I didn’t understand. Was that possible? I mean people were allowed to do that? It didn’t seem right. More than that, it seemed wrong. Growing up I didn’t know my biological dad, and my mom married my stepdad when I was four, so I remember little before him. They had a fine marriage, but there were always issues. Even as a kid I was aware of that. Money, church, friends, attitudes, other attractions, the chore of children—these things weighed on my parents. I thought their marriage was over at times, but then they’d come back together again—until the time they didn’t. I remember the moment my stepdad told me that he’d filed divorce papers. My parent’s divorce wasn’t unexpected, but my heart ached all the same. He’d been waiting to tell me because I’d had a lot on my mind. You see, I’d been planning my own wedding. And the day he chose to tell me was my wedding day. Yes, my wedding day. He didn’t want me to be surprised that when I returned from my honeymoon, he’d be living someplace else. I can picture your dropped jaw . . . and I felt the same shock and disbelief as I drove away with my new husband. I was eighteen years old and newly married, but something still felt wrong about my parents getting a divorce. I felt like a hurt kid inside. Another truth is that after divorce, things never seem “right” again. Seeing my mom without my dad at home was weird. To have to go to two Christmases and two Thanksgivings was weird, as well. Affections are split, and it’s the most unnatural thing in the world. Speaking of truths, no matter how old you are, the divorce still seems partly your fault. I had very rocky teen years and caused my parents stress. During my junior year of high school when my mom wondered if she should get her own apartment, I told her I thought she should. Even though my input had very little effect on their decision, the guilt is still there. It’ll always be there. I always feel that if I’d been a better kid, it would have been easier for my parents to work it out (even though as someone who’s been married for twenty-three years, I know that their decision was their decision). Yes, during my growing up years, many parents divorced, but the statistics don’t matter. Having my parents make that choice hurt. I would hurt the same if I was the only one on the planet or if it was common (like it was). Just because a million other kids were feeling the same pain didn’t lessen it for me. The truth about being a child of divorce is that it hurts no matter how old you are. This is not how God created things. A commitment is a commitment, especially one made before God.I’ve been thinking about this lately because if my generation has anything in common, it is our universal exposure to divorce—not only with our parents, but in our marriages. 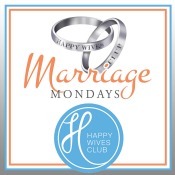 If you’re alive today, divorce has had a profound effect on you financially, emotionally, morally, and spiritually. Our lives are different because of what happened in our country’s marriages. And where does that leave us? As people who understand the pain and struggle, our job is to help strengthen marriages—those around us and our own. Sure, you might think your friend has a good excuse for divorce, but don’t encourage it. Encourage forgiveness, grace, and reconciliation. Pray. Pray hard. And if you’re considering a divorce yourself, I beg you to reconsider. The grass is not greener. Happiness is not found in someone else. Love can be rekindled. If you don’t want to try again, take your hurt and pain to God. Tell Him that the love is gone and seek His help. Love can sprout where you think only dead, dry ground exists. God can do miracles, and He wants to start in your heart. My dad’s parents divorced when he was 12 and that one decision changed so many lives. So much of the way my dad and aunts live their life even today, and the way my grandparents live(d) their lives is b/c of that one event. It’s so hard. My mom’s parents divorced later–similar to yours, she had no idea if her dad would show up to walk her down the aisle b/c she didn’t know where he was. When they did finally get a divorce, my mom was relieved b/c her parents never had to be in the same room again. My parents put their foot down when they got married and said, “it will be different for us.” I never had to wonder if my parents would divorce. They chose beforehand not to do it. What a blessing for me and my brother–and now my own children. Thank you for sharing your story. God can restore marriages & families! Thank you for sharing your story, Amanda. It’s amazing how those decisions impact so many people for GENERATIONS! Thank you for sharing your story, Tricia. I wonder if more people shared their story if it would be harder for parents to justify divorcing. My dad’s parents divorced when he was in high school and he still hasn’t gotten over the effects of it sixty years later (He’s 77 now). Not that he’s had a miserable life or anything but it definitely affected him in ways that also affected us (his children) negatively. I’m thankful it also affected him positively in that he was so opposed to divorce that he would never have considered it. He and my mom have been married 55 years. It’s a subject that needs to be talked about so people who are considering it can know how damaging it is to the kids. Thank you for sharing your story….much needed! I see the pain all around me every day as my family has also been forever altered by divorce. Our kids pay the ultimate price and no matter how many times a parent says ‘kids are resilient..they’ll be ok…it is better for them than living with all the fighting……’, it does not change the truth. I pray that the telling of your story will help someone make the right choice to keep fighting for their marriage, for the sake of children every where! I’ve experienced this when my brother and his wife of almost 25 years divorced. It impacts everyone – even the siblings. And several years ago when my husband’s cousin’s second husband died unexpectedly, there were issues about inheritance between her and (grown) kids from his previous marriage. My MIL was a bit aggravated, but I told her that no one recognizes the impact those “kids” had experienced by their dad divorcing and remarrying. It never goes away. Tricia, I love your honesty about the pain that divorce can inflict on children. I’m also in agreement that marriage is a commitment that should be worked at keeping and is far to often broken without much effort being made to keep the commitment that was made to each other and to God. On the other hand, my parents divorced when I was in my thirties and because of the negativity and unhealthiness of their relationship, I was so damaged by them staying together that I was completely void of emotion when they finally decided to call it quits. Although as a Christian, I believe in the sanctity of marriage, I am also well aware of the scars that can be manifested in a child that grows up in a loveless home even though the parents are still living under the same roof. Just this year I published a book entitled, ‘The Little Things’, that speaks of the damage that can occur even when the parents choose to stay together “for the good of the children”. I guess what I’m trying to say is that damage can occur in both homes split by divorce as well as homes that are divided even when the family lives under the same roof. In both cases, the parents need to realize that effort needs to be made to heal and restore a positive, loving environment for their children because living in an environment of constant negativity can profoundly effect their children and leave long lasting scars. Ultimately, people need to take the focus off of themselves and put it back on God where it rightfully belongs. I’ve never heard of a divorce that wasn’t ugly or life-impacting. My parents divorced right before my last year of high school. I moved away with my mom to a new town so she could get remarried and we could start a new life together. Thank you for sharing your story. The way you allow God to use your life-experiences to help others is always truly inspiring. My kids have a completely different perspective. It was more painful for their father and I to stay married then to divorce. I had no idea he was cheating and had been for years, as he used my health, epilepsy, against me to do it. Now that we’re divorced it’s better. We’ve been divorced for 4 years, I’m remarried, my husband is more of a dad to the girls, and they love him. Our life was complete hell before and now we are an actual family. I look back and wish I would’ve left him in 2003 and taken the girls with me. Divorce is hard, especially when there is abuse, and infidelity. I am so thankful for Divorce Care and all the tools I gained in my healing. I am now working with abused women and children as a result. God is faithful and He will restore and bring about forgiveness and healing. You just have to let Him. Tricia, this truly made my heart smile: “And if you’re considering a divorce yourself, I beg you to reconsider. The grass is not greener. Happiness is not found in someone else. Love can be rekindled.” And yes, my jaw dropped that your dad chose your wedding day to tell you but thank God for redemption!